Welcome to the 2017 - 2018 Rotary Year for District 5040. As Governor of the District, one of the things that we (me and Deb) are most looking forward are the many Rotary club visits and activities that we will get to see and be part of during our year. I hope that you enjoy reading and learning of the many great things that Rotary clubs and Rotarians do throughout our District. This blog will updated on each trip or club visit / event that we make. Feedback and comments are welcome at any time! Friday, June 22 - Rotary International Convention in Toronto - Rotary meets in Toronto - and many are on our flight from Vancouver this morning to attend the International Convention June 24 - 27 in that city. An International Conference is always a special time to connect with many other Rotarians and to experience the true International nature of Rotary. More than 25,000 attend the Toronto Conference, and we are treated to great speakers, terrific entertainment and fine times. Thursday, June 21 - Rotary Club of West Vancouver Sunrise - The Rotary Club of West Vancouver Sunrise holds its installation dinner and event at the West Vancouver Yacht Club. A good crowd assembles and a fine buffet dinner is enjoyed. MLA Jordan Sturdy congratulates the club for its fine work in the community, which includes their signature event Ride for Rescue. Thursday, June 21 - Rotary Club of Burnaby - Deer Lake - I join this club for their regular breakfast meeting - leading the meeting is Janice Froese (as President Frank is en route Toronto for the International Convention). This small but very active club keeps moving along and doing great work. The speaker this morning, Ramona, has an interesting presentation of the developing field of "Green" business. Wednesday, June 20 - Rotary Club of Lions Gate - 40 Years + Installation - The Lions Gate club holds their installation for the 2018-2019 Rotary year, and also celebrates 40 years of the club, which was chartered in May 1978. Two of the original charter members, Elko Kroon and Don Bell, are present as are several past members of the club. Tuesday, June 19 - E Club of Lulu Island - The final official DG visit of the 2017-2018 Rotary year is with the E Club of Lulu Island, as we meet over coffee at the Richmond City Hall cafeteria, This club, under the leadership of President Kevin Lainchbury and Secretary Bill McNulty, does mainly local community projects in the Richmond area. They have several events planned for the coming year and we have a chance to talk a bit about Club Runner and better linkage with the District electronically. Saturday, June 16 - 2018-2019 Governor Installation at Gibsons, BC - On the ferry once again, this time to Langdale and the 2018-2019 installation of Governor Darcy Long being held in Gibsons. A good crowd assembles at the 101 Brewery for the event that will see the Governor team for 2018-2019 officially installed by Rotary International Vice President, Dean Rohrs. Friday, June 15 - Rotary Club of North Vancouver - You can tell that the Rotary year is nearing an end when the next round of installations gets underway. And so we find ourselves climbing up Mount Seymour to the Enquist Lodge, to assist the Rotary Club of North Vancouver with induction of their new President for 2018-2019. Wednesday, June 13 - Rotary Club of Vancouver Sunrise - I join the Rotary Club of Vancouver Sunrise for their regular morning meeting, and there is a good crowd led by President Alfredo Carrette. Good fellowship, and an opportunity to present a District 5040 People of Action Award to Ron Suzuki - the champion of the Strathcona Hoop a Thon event that benefits so many needy kids in this area of our city. Congratulations Ron! Monday, June 10 - Vancouver Young Professionals Rotaract - Our final "official" DG visit for our year is with the Vancouver Young Professionals Rotaract Club. We join their meeting, held at the YMCA in downtown Vancouver, and are amazed at the work this active club does. Thursday, June 7 - Rotary Club of Dragon - Greater Vancouver - It is exciting as I join with more than 20 new incoming Rotarians in Burnaby who are forming the new Dragon Club of Greater Vancouver, and their charter president James Wang. DGN Bala Naidoo and AG Nancy Eidsvik are also there as we complete the needed paperwork and sign the charter application for this new Rotary club. Tuesday, June 5 - Burnaby South Interact Club Windup - District 5040's largest Interact Club held its year end wrap up, with Rotarian sponsors and others, in a special lunch at the school. The lunch capsulated an active year, introduced the new executive, and honoured the outgoing leaders and grade 12 graduates. June 1 to June 3 - Peacing it Together - District Conference 2018 - Wasn't it a party! Well, and much learning and sharing too..... District Conference 2018 was held at the West Coast Railway Heritage Park in Squamish, with peace as its central theme. With a total conference attendance including our youth of 275, plus an additional 33 for the gala dinner - we topped 300 in the room as the music and dancing started. Tuesday, May 29 - Interact Club - Burnaby Moscrop - It was a pleasure to attend the charter event for the Interact Club at Burnaby's Moscrop High School. A good turnout of Interactors along with their teacher sponsor Ms Wong and school Principal Mr. Paul Fester. The club is sponsored by the Rotary clubs of Burnaby and Burnaby Metrotown, who were represented by presidents Simone Brandl and Doug Rennie. District Interact Chair Rick Lewall provided pins for all, and Rotary provided a pizza lunch and cake. Azim Raghavji has worked long and hard to bring this new club to fruition - thanks Azim! Sunday, May 27 - Walk for Polio - We join a great contingent of members from all the Rotary clubs of Burnaby and New Westminster as well as Vancouver Mountainview, Vancouver Cambie and North Vancouver for their annual Walk for Polio, at the New Westminster Quay market. Joining with us is also my classmate DG Mike Kinsey and his partner Maryanne from District 7010 in Barrie, Ontario. There was a great turnout of Rotarians, Rotaract and Interact for the walk. Organizer Gaby had it all in hand; MC was Mike Crean. Saturday, May 26 - Philippine Consul General Farewell - We are pleased to join President Karen Bation and members of the Rotary Club of Vancouver Mountainview to bid farewell to the Philippine Consul General Neil Ferrer as his post to Vancouver comes to an end and he returns to his home country. Also joining in are PDG Gord Dalglish, Assistant Governor Nancy Eidsvik, Rotarian Elena Agala and others who were involved in the creation of our newest Rotary Club in District 5040. Saturday, May 26 - Youth Exchange Outbound Orientation - I join in the Youth Exchange Outbound Orientation for the morning at Quest University in Squamish. This event is to prepare our outgoing Youth Exchange students and parents for the coming year of the exchange as the students ready to leave BC for another part of the world for ten months. Short Term Exchange is also represented her in this preparation. The District 5040 Youth Exchange team has this in hand, led by chair Sue Godey and incoming chair Gina Rawson. Rotex is also helping and our current inbound students are also there helping the new group understand some of the things they will experience as they start their exchanges. It is a valuable piece of training and preparation for all involved. Friday, May 25 - Sir Winston Churchill Interact Club Inaugural - A wonderful evening overlooking the Vancouver Harbour, as the Sir Winston Churchill Interact Club held their Inaugural evening. The club members, led by President Sandra Radic and Vice President Roy Wong put a great evening together with club members, Rotary District support resources, parents and the club's sponsor and teacher liaison. Saturday, May 12 - Rotaract 50th Anniversary Celebration - A wonderful gathering of Rotaractors and Rotaract Supporters gathered at the Firefighter's Hall in Burnaby to celebrate 50 years of Rotaract, announce awards and to install next year's Rotaract Presidents. All of District 5040's Rotaract clubs were represented at the event! Friday, May 11 - Rotary Club of Richmond Sunrise Gala and Auction - It has certainly been a very busy day of Rotary today! We are awed as we arrive at the Riverside Ballroom in Richmond at the huge participation in the 30th Annual Richmond Sunrise Gala and Charity Auction. More than 400 people have come together for the evening; theme is Return to Bollywood. Friday, May 11 - Rotary Club of Lions Gate (North Vancouver) - Today is an interesting day as District 5050's Conference arrives in town - on the cruise ship Eurodam! After helping greet the visiting Rotarians at the waterfront, we head to the North Shore Winter Club and the lunch meeting of the Rotary Club of Lions Gate (North Vancouver). Thursday, May 10 - Rotary Club of Vancouver Mountainview - Josephine's on Main Street is the place for Filipino food, and we join the Rotayr Club of Vancouver Mountainview for their regular meeting. President Karen Bation presides and we have an informative and fun evening. As Governor I have a chance to speak and update the club, as well as talk about the reasons they should be at District Conference. I also have to share with them that soon they will not be the newest Rotary club in District 5040 - with the coming chartering of a new club in Lillooet. They take it well! Tuesday, May 8 - Rotary Club of Sechelt - We join the Rotary Club of Sechelt for their meeting, the first in their new venue - Entre Deux Mer restaurant. There is a good turnout as President Norm Blair conducts the meeting and covers several upcoming project dates. This is a small but very active club, and they have just completed updating their strategic plan. Saturday, May 5 - Rotary Club of Burnaby Metrotown Wine & Food Fest - This evening we join a special event, the Wine & Food Fest hosted at the Nikkei Centre by the Rotary Club of Burnaby Metrotown - we are welcomed by many Rotaractors who are actively engaged in the evening. This is a sold out event, and the crowd has a great time sampling wines, craft beer and food from many vendors. Thursday, May 3 - Rotary Club of Bowen Island - Bowen Island and the Rotary club there are kind of special to us - just a short ferry ride and it is like entering another world compared to the concrete and bustle of the city. And, having facilitated the initial planning and subsequent chartering of this club it holds a special place for us with its innovative community projects and activities. Tuesday, May 1 - Rotary Club of Steveston - An early morning start finds a great crowd at the regular breakfast meeting of the Rotary Club of Steveston. President Scott has 6 year old son Bo there helping out! The speaker is from Regional Animal Protection Society (RAPS) and has an interesting presentation on their work to protect and save animals in the area. I have a chance to update the club on our District progress and promote the District Conference. Wednesday, April 25 - Rotary Club of Richmond Sunset features Orbis - Wednesday evening April 25 was a very special dinner event for the Rotary Club of Richmond Sunset. The Rotary club partnered with Orbis - the Flying Eye Hospital - in support of their work around the globe in providing care and training in eye care. Present for the evening was the CEO of Orbis Canada - Lisa McKeen with Dr. Simon Holland from UBC. Tuesday, April 24 - Rotary Club of Whistler - Another trek up the Sea to Sky to attend the evening meeting of the Rotary Club of Whistler. There was a great turnout for their monthly dinner meeting (their other meetings each month are breakfast). The special meeting speaker was the senior person from Whistler Blackcomb, Arthur De Jong, who talked about many of the plans and changes happening to the mountains now that the new Vail ownership is taking hold. It was a most interesting and informative meeting. Tuesday, April 24 - Rotary Club of Vancouver - It was good to visit my home club once again and catch up with the many activities and good work the club does. The meeting featured a presentation of a cheque for $8,000 to "The Door is Open" in support of the work this group does on the Downtown East Side with shelter and food for those in need. The speaker was CEO Kevin Desmond of Translink who gave a great presentation on where transit in Metro Vancouver is headed. Monday, April 23 - Rotaract Club of Burnaby - We visit the Rotaract Club of Burnaby at their meeting place at the Burnaby Neighbourhood House. President Majed presides over the meeting and your DG talks with the group interactively about Rotary, Rotaract and District 5040. We also cover transitioning from Rotaract to Rotary and answer a number of questions, including why the members have joined the Rotaract cub and what are the key benefits they get from being part of it (ability to do service, great friendships, good networking etc.). Interactors from McMath High School in Richmond are also there to promote their upcoming Polio Walk, and upcoming events for the Rotaract club are planned. The hour goes quickly, it was great to be there. Thursday, April 19 - Rotary Club of Whistler Millennium - We join the Rotary Club of Whistler Millennium for their regular meeting today, and enjoy the fellowship of another Rotary club. President Jens presides and an interesting presentation on sailing in Whistler is presented. We have an opportunity to talk about the District Conference at yet another club as we work towards a successful event. Wednesday, April 18 - Rotary Club of Pemberton - A short trip from Whistler this morning to join the regular meeting of the Rotary Club of Pemberton. Assistant Governor Liz Scott and incoming AG Murray Wood join as well (as they did yesterday at Whistler) and we have a great morning with the club. President Dave and the members present a photo show of their many activities this year - this is a small club but a very active one in the community and overseas. Following the meeting, we go for a walk around One Mile Lake and visit the doggie beach project that is now compete, as well as the great trail improvements and swim floats done by the Rotary club. Tuesday, April 17 - Rotary Club of Whistler - We are in Whistler for a few days, and join the Rotary Club of Whistler for their breakfast meeting. It is great to reconnect, President Ken Martin is in charge of the meeting which features a good guest speaker, one of the leading ski instructors in Canada, Louis Joncas, a Canadian Ski Instructor Hall of Fame Inductee. It is a topic of keen interest to this group and he also covers the many benefits of volunteering - of which we, as Rotarians, know well. Following the meeting we see several members in action as volunteers in Whistler - both on the mountain and helping at info kiosks. Sunday, April 8 - Northwest Grant Management Seminar - We convene at the School District Offices to present the annual Grant Management Seminar, saving our District Foundation Chair Garry from having to travel to Terrace as well. There is a good crowd and we qualify all five Northwest Clubs - Smithers, Terrace, Terrace Skeena Valley, Kitimat and Prince Rupert. for future grants from the Foundation. 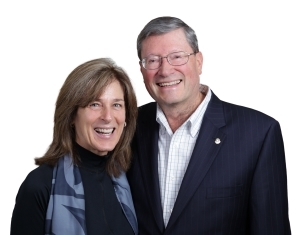 Saturday, April 7 - Northwest Foundation Dinner - The Terrace Arena is buzzing as the Rotary clubs Terrace, Terrace Skeena Valley, and Kitimat come together in Terrace for their annual Foundation Dinner. This is typically held on the weekend of the District Assembly, and DGE Darcy is here to head that and join in this special evening. And a fun evening it is - as the theme and dress is for a rock and roll party - Dancing Through the Decades. Wednesday, April 4 - It is a winter wonderland as we head east to Smithers, a glorious winter day that has our cameras busy through the spectacular scenery of the Skeena and Bulkley Valleys. We join the Rotary Club of Smithers for their evening meeting at Louise's Kitchen (yummy food!!!!). President Leigh Williams presides over this growing group of Rotarians, and they have a lot of fun at their meeting - and do a tremendous amount for their community. Your DG once again has an opportunity to update the group on how we are doing and on the District Conference, and there are many good discussions before we adjourn for the evening. We head back to Terrace, and just in time as the snow comes and Friday is a day of winter with strong winds and blowing snow! Wednesday, April 4 - Up early for a quick start this morning, as we join the Rotary Club of Terrace - Skeena Valley for their breakfast meeting. President Kristen Riley presides and it is an engaged group together for breakfast this Wednesday morning. President Elect Carol recounts some of her recent experiences at PETS, and then your DG provides a talk covering the current status of the District, some commentary on Rotary's new flexible options, and a plug for the District Conference. There are good questions and we have a most enjoyable meeting. Tuesday, April 3 - Rotary Club of Kitimat - We are back in the Northwest for a series of visits and engagements. After arriving in Terrace, we are joined by Assistant Governor Brian Downie and head for Kitimat to meet with the members of the Rotary club there. Friday, March 30 and Saturday, March 31 - RYLA South - One key reason for this trip to the Gibsons area is to attend part of RYLA South, which is being held at Camp Elphinstone. There are 78 Rylarians participating this year, many of them Interactors, along with others in the Grades 10 to 12 age group. The leaders do an awesome job in putting this camp together, and this year is no exception. Thursday, March 29 - We are on the Sunshine Coast once again and join the Rotary Club of Gibsons at their regular meeting. President Grieg Soohen presides over an active meeting. Your DG has a chance to present a promotion for the upcoming District Conference, as well as to talk in support of the club's upcoming Strategic Planning session on April 14. The "Who Am I Talk" is presented by new member Brittany Broderson - whom we had inducted last fall during our official visit to the club. It is great to see her developing as a young Rotarian in the club. Wednesday, March 28 - Another great club to visit, just a drop in this morning at the Rotary Club of Vancouver Sunrise. This club is the organizer of the Hoop a Thon (for Strathcona Youth) a program that sees a collaboration with two other area Rotary clubs - Vancouver and Vancouver Yaletown. Once again had a chance to speak to the coming District Conference and enjoy the fellowship of another active Rotary Club. Tuesday, March 27 - It is always a joy to make a meeting at my home club - the Rotary Club of Vancouver - although I have attended quite infrequently due the Governor schedules this year. On this day, I had the opportunity to thank the club for sponsoring a new Interact Club (Sir Winston Churchill High School) as well as to present a Paul Harris +2 to Min Kwang and thank her for her support to The Rotary Foundation. Had a terrific speaker - Dr Paul Evans (no relation!) who shared his insights from his work and many visits to North Korea a fascinating presentation! Saturday, March 17 - Prince Rupert Foundation Dinner - It was a beautiful sunny day in Prince Rupert on Saturday, March 17 as a group gathered (led by club president Karen Basso and Rotarys Trail Project Lead Bill Nicholls) to do a preview walk of the Rotary Club of Prince Rupert's major project over the past couple of years - the Rushbrook Trail. Wednesday, March 14 - Sunshine Coast Social - A short ferry ride to Gibsons and a meet up with members of the Rotary Clubs of Sechelt, Sunshine Coast Sechelt and Gibsons at the Gibsons Public Market. A good group of about 30 is present and we enjoy a tour of the new facility, including the Marine Education centre, and a presentation about the development. A light dinner is enjoyed and we have lots of time to get to know everyone. A highlight is the opportunity to present Paul Harris awards to Rotarians Terry Miller and Cameron Ward recognizing their support to the Rotary Foundation. Thursday, March 8 - Rotary Club of Quesnel - Departing 100 Mile House, we make a quick drive north on Highway 97 where we join the Rotary Club of Quesnel for their lunch meeting. Once again there is a warm welcome and great turnout, as President Sandra Lewis presides. Thursday, March 8 - Rotary Club of 100 Mile House - After a Wednesday afternoon drive from Williams Lake, we are now ready to join the Rotary Club of 100 Mile House at their breakfast meeting. Although President Linda is not able to be there today, there is a good turnout at the meeting and we have a great time. Wednesday, March 7 - Rotary Club of Williams Lake - Today we join the lunch meeting of the Rotary Club of Williams Lake. Again there is a good turnout, with President Ashlee Hyde presiding, and we present the cheque form the Wildfire recovery fund to Guenter Weckerle and Ashlee to the applause of the members there. Tuesday, March 6 - Rotary Club of Williams Lake Daybreak - Our first club visit of the week is the breakfast meeting of the Rotary Club of Williams Lake Daybreak. A good turnout is present with President Ingolf Sandberg presiding, and we are delighted to present a cheque from the Wildfire Fund of almost $16,674.25 to the club. Week of March 5 - Delivering the Rotary Wildfire Recovery Funds - We are off to the Cariboo region on a mission to visit all four clubs in the region, and deliver the proceeds from the Rotary 5040 Wildfire Recovery Fund so they can get to work on their projects. The area remains a winter wonderland with lots of snow and cold temperatures, but the reception at the clubs is a warm one. It is good to see the region recovering from the devastating wildfires of last summer, and great to know that Rotary will make a difference in these communities to help prevent another such disaster. Our thanks to all who donated to this fund. Friday, March 2 - We join the Rotary Club of Burnaby for a relaxed Meet and Greet evening with members of the club and guests. Membership Chair Samantha, with President Doug and President Elect Sammy, have organized with many club members contributing and participating, and there is good food and drink, with a welcoming, relaxed hospitality. A brief presentation on Rotary and the Burnaby club (which is in its 71st year!) is made by Rotarian Neil. It is a great new effort by the club and it appears at least one new member will join as a result! Thursday, March 1 - What a fun evening - as the Interact of HJ Cambie Secondary School held "A Night Around the World" event in the school rotunda. The Interactors' presented an evening of fun, food, music, dance and talks about making a difference in the community and the world. It is just amazing how articulate and talented the young people are, and it showed off again in this special evening. Thursday, March 1 - It is most enjoyable getting back on club visits, and this morning attending another active club - the Rotary Club of Richmond Sunrise. The club's focus on the environment brought a pair of interesting speakers on this morning, talking about school gardens and educating students using the gardens as a learning tool. President Heather Harrison presided, and the District Conference got a good promotion from the governor! Wednesday, February 28 - Rotary Club of Richmond presents Paul Harris Awards - It was an honour to join the Rotary Club of Richmond today at their lunch meeting to help with the presentation of Paul Harris Fellowships to three community leaders, and to also induct another new member. Tuesday, February 27 - US Consul General at Rotary Club of Vancouver - A treat this week to be able to attend the regular meeting of my home club, the Rotary Club of Vancouver. This busy governor year has made my home club attendance infrequent, but I was glad to be at this meeting as we had an outstanding speaker - US Consul General Katherine Dahanhi who talked about "A Diplomat's View on Volunteerism". Every Rotary club in District 5040 is different, but one of the reasons I have belonged to the Vancouver club for so many years (besides the great friendships and marvellous service) are the calibre of our weekly speakers. Ms Dehanhi presented a great talk on many of her career experiences with volunteers and answered topical questions from the members about US / Canada relations. Saturday, February 24 - Saturday evening, February 24 in Prince George, and the place to be was at the annual Taste of India event, a major fundraiser by the Prince George Yellowhead Rotary Club. This was the eighth annual running of this popular event, which has raised now over $400,000 for local and international projects. Also active in the evening were the College Heights Interact Club and the Rotaract Club of Prince George. Thursday, February 22 - Imagine a theatre full of students, families and Rotarians, and you will get a sense of how the Michael J Fox Theatre at Burnaby South High School rocked the night away on February 22. The music and dance variety show was developed and produced by the Interact Club of Burnaby South, as a major fundraiser for their projects and, in particular, the Rotary Club of Burnaby's Sound of Hope hearing project in Bali. The talent presented was amazing, and ranged from Rap numbers to songs from Adele and other contemporary artists. Tuesday, February 20 - This Tuesday evening, held at UBC, brings together members of the Rotaract Club Vancouver UBC, the Rotaract Club of Vancouver Young Professionals, and the Rotary Club of Vancouver (which is sponsor club to both Rotaract clubs). The group is welcomed by President Phil Webber from the Rotary club, then District Rotaract Chair Joan Posivy guides us all through an evening of interaction and fun together. Saturday, February 17 - A great day spent with our District Youth Committee as we gather at Committee Chair Lyn Stroshin's home in West Vancouver and develop a strategic plan for the committee. It is a busy and active day together, as the committee develops their roadmap for the future facilitated by DG Don (but wearing his facilitator hat!). The result is now posted under the Youth section of the District 5040 website - so check it out. Does your District committee have or need a planning session? The District Strategic Planning committee has facilitators available to help! Tuesday, February 13 - Rotary Club of Ladner - Another visit to the District's Outstanding Club of the Year - how could I not be there for what may be the most Paul Harris's presented at one meeting. A total of eight members were recognized for their support of The Rotary Foundation in this mass "pinning" presided over by President Ulf Ottho and assisted by President Elect Kerry-Lynne Findlay. Sunday, February 11, 2018 - Chinese New Year with the Rotary Club of Richmond - This busy day was not over yet, as we headed for Richmond and joined the Rotary Club of Richmond's Chinese New Year event at the Continental Seafood Restaurant. More than 300 people celebrated the arrival of the Year of the Dog with great entertainment, food that never stopped coming (or so it seemed), great fundraising and lots of fun. Congratulations to the Rotary Club of Richmond for another great start to the new year. They are into their 56th year of serving - "We Make Good Things Happen". Sunday, February 11 - Rotary Club of New Westminster Celebrates 90 Years - The special weekend continued as we joined the Rotary Club of New Westminster to celebrate the club's 90 years of service in that community. More than 120 people gathered at the Inn at the Quay for the event, and among the special guests were Rotary International President Ian Riseley and Juliet, Rotary International Vice President Dean Rhors and Rhino, and District 5050 Governor Lindagene Coyle. February 9, 10 & 11 - What a special weekend it was, as 825 Rotarians and friends (from 30 countries) came for the Presidential Peacebuilding Conference with the theme focus of Environmental Sustainability and Peace. Rotary International President Ian Riseley presided over the conference, well organized by PDG John Anderson and his team. Other Rotary dignitaries included RI Vice President Dean Rhors, RI Director John Matthews and Rotary Foundation Chair Paul Netzel. It was an outstanding event in every regard. February 8, 2018 - It was great to attend a special evening event with Foundation Chair Paul Netzel and many others to review and hear about the direction for future funding for the Rotary Peace Centres program. This was further shared when Paul spoke at the Presidential Peacebuilding conference on the weekend. A great opportunity with so many Rotary leaders in Vancouver for the coming conference. February 7, 2018 - Rotary Club of Richmond - A great opportunity to visit this growing Rotary Club for their regular lunch meeting in the City of Richmond, BC. The club is hard at work today doing the final planning for their Chinese New Year's event coming up on Sunday - what promises to be a great event with almost 300 committed to attend. While there, your District Governor has the great opportunity to induct a new member to the club - we welcome Bill Lau as our newest Rotarian. February 3 and 4, 2018 - A very busy Rotary weekend as members of the District 5040 team convene in Richmond February 3 to update progress on the District Strategic Plan objectives. Present are members of the Governor team, Assistant Governors, District Committee Chairs and Board Members. A full review yields many updates - we are tracking well on many of our goals, however some are lagging and are identified for more work in the coming months. The updated plan with progress notes is posted at www.rotary5040.org under the "About Us" tab for all Rotarians to access and view. February 1, 2018 - Rotary Club of Squamish - A rainy day as we make our way to Squamish to do some District Conference planning work and to visit the Rotary Club of Squamish. Along are District Conference Chair Garry Shearer from the Rotary Club of Tsawwassen, and committee member Vicki Haller from the Rotary Club of West Vancouver Sunrise. January 23, 2018 - Rotary Club of Vancouver - It was fun to be back at my home club on January 23 for their regular meeting, a great time catching up with long time Rotarian friends and a chance also to meet several new members who have recently joined the club! Enjoyed our great speaker Donald MacPherson who talked about a new strategy for dealing with drugs in Canada. A very special moment occurred as President Phil and the club presented a Paul Harris award to Deb Sankey in recognition of her support and work during our Governor year. Well deserved I would say as we think about what a great year it has been so far, and also about how quickly it is passing by! January 21 - Rotaract Club of Burnaby - We join members of the Rotaract Club of Burnaby to help them with one of their Community Dinners at the Burnaby Neighbourhood House. They started cooking at 2PM and have things almost ready to go - we are going to help plate dinners, deliver food to the guests and then clean up. It's going to be a great meal - there is fresh made chili on the stove (both beef and vegetarian), a nice fresh salad, fresh baked corn bread and some apple pies cooling from the oven. January 16 - Rotary Club of Ladner - Part of our plan for the reminder of the 2017 - 2018 Governor term is to visit as many of our Rotary clubs as we can for a second time. Sometimes this will be for special events (as was the case in our two December trips), and sometimes just a drop in at a regular club meeting to say hello - and to promote the upcoming District Conference in Squamish. January 5 to 7 - Blue Denim in Seattle - One of the special training events that the Governor team participates in each year is called Blue Denim - it is a casual weekend of learning put on by the Governors of the nine Districts from Pacific Northwest PETS where we share experiences throughout the Governor journey with each other and help prepare the coming Governors for what's ahead. January 4, 2018 - Rotaract Club of New Westminster - We are back home and off to make our first Rotaract Club Governor visit - this to the Rotaract Club of New Westminster. The club meets at St. Thomas More Collegiate and is going through a re-invention, led by co presidents Josh and Keisha and supported by their coach Gloria Staudt. December 27 to January 2 - New Year's in Taipei, Taiwan - After a bit of time off from Rotary through a busy Christmas season with family, we are off for a New Year's adventure to Taipei, Taiwan. Thanks to a linkage made through our own District's Rotary Club of Vancouver Centennial, we have been connected with Rotarians in Taipei and have a planned visit to the Rotary Club of Taipei - Yungfu. Visiting a Rotary Club in another country is always a great thing to do, but this visit turns out to be quite extraordinary! Wednesday - December 6th - After the breakfast meeting in Prince George we head on our way to Mackenzie, where the Rotary Club of Mackenzie welcomes us at their regular lunch meeting. There is a good turnout here and we are pleased to help induct two new members - Steven Curtis and Cara Bowen. Monday, December 4 and we are headed north to Prince George for a visit to a number of Rotary meetings and events. Assistant Governor Bill Hellyer meets us on arrival, and hosts a lovely evening for us and the Prince George Club presidents at his home - it is a wonderful opportunity to catch up with everyone. Saturday December 2nd, Winter Wonderland - Leaving the Interact conference, we head over to Richmond City Hall where the Rotary Club of Richmond Sunset is holding their annual Winter Wonderland event. This major fundraiser for the club sees a set up of decorated and sponsored Christmas trees adorn the lobby of City hall, and an official lighting ceremony with Civic dignitaries, sponsor organizations and Rotarians involved - including event chair Magdalen Leung and Rotary International VP Dean Rohrs. Saturday, December 2 - Interact Conference - A busy Rotary day as we head to Richmond, and Hugh Boyd Secondary School for the Interact Conference. Many of our District's 27 Interact Clubs are represented, and the day is facilitated by Rotaractors and District resources. Our District Interact Chair Rick Lewall welcomes everyone to the day, and Ashley and Joanna run the program. Past District Governor Lyn Stroshin also participates and hands out Presidential Citations for the past Rotary year to a number of Rotaract and Interact clubs that met the criteria. Wednesday, November 29th - This morning we head back from Powell River, making two Rotary stops on the way.....the first is in Pender Harbour where we meet club president Mike Price and a couple of others for coffee, and present the Rotary Club of Pender Harbour with their certificate from the Rotary Foundation for support of polio. November 28 - Powell River "Purple for Polio"
Tuesday, November 28 - We are off on a special trip to the Sunshine Coast, with a special goal of attending the Powell Rover Rotary Club's Purple for Polio Fundraiser. We make an early start on the ferry, and pick up Assistant Governor Carol Doyle on our way through Gibsons - she will accompany us to Powell River and on our other Rotary stops on this trip. After another ferry and a pleasant drive, we arrive in Powell River. Monday, November 27 - Hard to believe, but this is our final official DG Club Visit. The Rotary Club of North Vancouver welcomes us at the home of one of their members, and we have a delightful evening indeed with this small but growing club - it is a pleasure to induct two new members, Aimee Sehwoerer and James Mitchell during our visit. President Neil Creighton presides over the meeting of this club, which was chartered back in 1951. Thursday, November 23 - A great visit to District 5040's newest Rotary club, the Rotary Club of Vancouver Mountainview at their meeting place of Josephine's on Main Street in Vancouver. The club continues its journey with vibrancy, and we have a great time with President Karen and the club members. We are also joined by Honorary member Neil Ferrer - the Consul General of the Philippines, and the club's advisor PDG Gordon Dalgleish. Thursday, November 23 - An early start as we visit the Rotary Club of West Vancouver Sunrise. They have a nice meeting spot at the Capilano Golf Club, and President and PDG Ken Wilson presides over an active meeting with good attendance. We are pleased to award a Paul Harris + 2 to member Karen Harrison. Wednesday, November 22 - We are at the Rotary Club of West Vancouver, in their meeting spot in the lounge atop the Capilano Towers (a housing facility developed by this Rotary Club some 50 years ago!). It certainly is a room with a view - a panorama looking out across Stanley Park, the Lions Gate Bridge and the City. There is a good turnout this evening from this smallish club, which has a long legacy of service to their community. Sunday, November 19 - Today brings a very special opportunity not to be missed; to attend and participate in our District Rotaract Training day. The day is held at the Burnaby Neighbourhood House, which is the venue used by the Rotaract Club of Burnaby. Saturday, November 18th - This evening we attend the District 5040 Foundation Dinner, and what an event it turns out to be! The organizing committee from the Rotary Club of Vancouver has outdone themselves, and created an evening that turns out to be lively, diverse, fun, and profitable for The Rotary Foundation. Thanks to the great organizing committee led by Min Kuang, John Bathurst and Franco Gallo who put this together, found great sponsors, brought many new people to Rotary, and lined up great entertainment and prizes. Saturday, November 18 - This morning we visit the Rotary Club of Vancouver Cambie. President Branden Yu presides over this revitalized club, whose members are mostly of Korean origins. It is delightful to see that they are adding three new members, and we are please to induct them on this morning - welcome to Rotary Taeki Moon, Angelo Donghyun Park and Sebastian Jongmin Lee. Thursday, November 16th - Once again we hit the Sea to Sky Highway, this time to visit the Rotary Club of Squamish. This is the home club of Assistant Governor Liz Scott, as well as our District 5040 Polio Chair Brian Finley. The club's signature event is the annual Beef BBQ on Loggers Sports weekend - and they serve up hundreds of great beef on a bun each year. (see our August 6 entry!). They also had a presence with a float in the Canada Day parade! Wednesday, November 15 - Another early start, this time to the Rotary Club of Vancouver Sunrise which meets at the Coal Harbour Community Centre. Their breakfast is supplied by a community caterer from the Downtown East Side so they are supporting the community even through their breakfast! President Alfredo Carrete presides, and it is also delightful to present Ted MacCormac with a Paul Harris in recognition of his continuing support of the Rotary Foundation. Tuesday, November 14 - An early start gets us to the Rotary Club of Steveston for their breakfast meeting at their special place in the Steveston Hotel. There is a great turnout of members with the meeting presided over by president Scott Livingstone. It was great to be able to assist with the induction of new member, Stevo Bursac, who transferred in from Cypress! Friday, November 10 - We are in Whistler and join in at a very special ceremony unveiling the newly relocated and reconditioned cenotaph at the Olympic Plaza in that community. The Rotary Club of Whistler has been the major work force in this initiative, that has seen the cenotaph moved from its former location at the Fire Hall to this much better spot. President Ken Martin joins the Mayor and a few other very special guests in talking about why this is important for the community. The Rotary club hosts a hot chocolate and cookies reception following the ceremony. The plaque noting this as a project of the Rotary Club of Whistler adorns the new monument. Thursday, November 9 - What could be better than adding a new Rotary Club to District 5040? We are off to Lillooet this morning to meet with the newly forming Rotary Club in Lillooet. Led by President Elect, Angela Bissat, we enjoy meeting the group working to form this new club (they have 15 members at this point and are working towards filing a charter by the end of 2017). We share some thoughts with the group and answer many questions, and leave very happy that they are on the right track. As for our District, we are now putting together their support team to work with them as they go through the process and we are confident this new club will be up and running in 2018. Tuesday, November 7th - That same evening, we are in for a real treat as we visit with the Rotary Club of Vancouver Centennial, a mainly Taiwanese club that meets at the Taiwanese Cultural Centre in Vancouver. This is a most unique and fun experience for us, as we meet with the executive while dinner is being prepared in the kitchen (it is wonderful!). Recently there has been a Friendship Exchange visit from a Rotary club in Taiwan and we hear about the great experiences that they had. We are heading to Taiwan ourselves at the end of December and plan to make a visit to this club while we are over there as we missed them on their visit to Vancouver and BC. Tuesday, November 7 - Only two club visits this week are scheduled, and both on this same day. We start at the Rotary Club of Vancouver Fraserview and meet President Henry Chan at the Oakridge White Spot, as the club's regular venue at Seasons in the Park had closed this week for renovations. We are joined by AG Davinder and the club's executive and have our pre meeting to learn a bit about the club, then a good conversation over lunch is held. Saturday, November 4 - Saturday evening is a special one, as we join in the very first Shine for Shelterbox event at the Hollyburn Country Club. Shelterbox Canada Ambassador, Chris Loat, of the Rotary Club of West Vancouver Sunrise, is the driving force behind support for this Rotary partner organization in our area. Many District 5040 Rotary Clubs are represented in what is a very nice evening to recognize their support in providing shelter for families impacted by disasters all over the world. Friday, November 3 - A visit to the Rotary Club of Vancouver Arbutus rounds out our club visits for this week. We have been seeing a lot of Assistant Governor, Davinder Grewal, this week (with thanks for her active support!) and this is her home club. President Joy Johnston welcomes us and we have a good pre meeting with the club's board. Thursday, November 2nd - We visit a second club on this day, the Rotary Club of Vancouver Yaletown. This club meets after work at a university in the Yaletown area for its regular meetings, going for dinner after is optional for those who wish to join in. President Lejla Uzicanin presides over the meeting, and it is wonderful to see Honorary member Linda Murray there with the club she helped found (in 2009). Thursday, November 2 - Assistant Governor Nancy Eidsvik describes the Rotary Club of Burnaby Deer Lake as "the little club that does", and that is in evidence as we make a breakfast visit in their new venue of Tivoli at the Executive Inn in Burnaby. It is great to see this club growing, and we are pleased to induct new member Nazir Nenshi to the club. We also present multiple Paul Harris pins to President Frank Peabody and Rotarian (and District Treasurer) Janice Froese. Wednesday, November 1 - Today we visit an evening club, the Rotary Club of Richmond Sunset where we are greeted by President Grace Tsang and other club members. This smaller club is very active with projects locally and overseas, with particular ties to Taiwan on the part of many members. They are extremely active supporters of The Rotary Foundation and with several successful Global Grants, doing good work far beyond their numbers. Tuesday, October 31 - It's always special to come home, and that was exactly how we felt making our official visit with the Rotary Club of Vancouver. This is District 5040's longest serving club, having been chartered in April 1913 as the second Rotary club in Canada (after Winnipeg). The club remains vibrant and very active, and involved in the local community as well as internationally. October 28 - Charter Night for Vancouver Mountainview! Saturday, October 28 - Charter Night for the new Rotary Club of Vancouver Mountainview - and what a night of celebration it is! More than 200 people from many clubs and the community are out as this new mainly Filipino club becomes the 49th Rotary Club in District 5040. This is a very special occasion, as President Karen Joy Bation introduces the 26 Charter members of the new club. Friday, October 27 - Our week of club visits end with our visit to the Rotary Club of Burnaby, where we have good dialogue with the board and then an active meeting with the club. President Doug Rennie is leading this club for the second year, with President Elect Sammy ready to move into the role for the coming year. It is great for us to participate in three club awards and three Paul Harris presentations while we are there. Membership growth and strategic planning are key areas of interest for the club, and the club has now established a strong Membership Committee to tackle this issue. Thursday, October 26 - A busy day is rounded out with a dinner meeting visit to the Rotary Club of New Westminster. This club is celebrating 90 years of service this Rotary Year, and a major celebration event is set for February 2018. We meet with the club board prior to the meeting, and then President Richard Prill presides over the dinner meeting. A major topic and good discussion at this session is around membership. The club is exploring new changes and is now meeting three times at lunch and one time at dinner each month. Thursday, October 26 - Another early start as we visit the Rotary Club of Richmond Sunrise at their lovely venue in the Richmond Golf & Country Club. President Heather Harrison has a very active club in hand here, with a strong focus on the environment and environmental sustainability. We sign up several members to attend the Presidential Conference on Environmental Sustainability and Peace in February! This club is the first we have found that has an Eco Committee. Wednesday, October 25 - We make our way in the early morning to meet with the Rotary Club of New Westminster - Royal City. The venue is The Boathouse Restaurant and we have a good meeting with President Aman Grewal and his club. We are very pleased to participate with the induction of a new member, Christiane Basilio. Tuesday, October 24 - Today we make our District Governor visit to the Rotary Club of Ladner, District 5040's Outstanding Club of the Year for 2016 - 2017! Todays meeting is at the Coast Hotel in Tsawwassen as their regular venue has a special event on and cannot accommodate us this week. There is an excellent turnout of members and we have a very interactive meeting. This is World Polio Day so we celebrate that occasion with all of us sporting a purple pinkie (symbolizing vaccination). This year is a very special year for this club as they are celebrating their 60th Anniversary. Saturday, October 14 - The Rotary Club of Ladner hosts a major fundraiser this evening, called a Taste of the Philippines. And tasty it is indeed! Rotarian Mike Storey and his team have done an excellent job, and MC Kevin Evans guides the large crowd through the evening's program. There is wonderful Filipino music - singers and dancers make great live performances. Many members of the new Rotary Club of Vancouver Mountainview are also there, joined by the Consul General of the Philippines Neil Ferrer. Proceeds from the event are being split to the Rotary Club of Vancouver Mountainview, PolioPlus and the Ladner Rotary Club's project in Laos. It is delightful to be there and to be a part of this fun and active fundraising event. Well done Rotary Club of Ladner! Friday, October 13 - The Rotary Club of Lions Gate (North Vancouver) is our visit today and we join them for their lunch meeting at the North Shore Winter Club. This active club, and a past Club of the Year, continues to make its mark locally, in youth support, and abroad. Interim President Anne Marie Ferguson chairs the meeting and we have a good interactive session with the members there. Thursday, October 12 - The Rotary Club of Bowen Island is also visited this day, and we are treated to a very special evening on the Island by President Ross Patterson and the club. We start by seeing one of their very innovative projects - the placement of public AED devices at many strategic and busy locations around the island. This project not only involves the purchase and installation of these devices, it also provides training in their use and in CPR techniques to those who are nearby the units. Fourteen of these units have been placed to date. Thursday, October 12 - The Rotary Club of Tsawwassen meets over breakfast at the Beach Grove Golf Club, and the District's largest club (100 members now) has a great turnout for the Governor's visit. President Laura Dixon handles the meeting, and it is an active one indeed. Not only is this an active club in the community, it is also very active in the District - home to our Membership Chair, District Conference Chair, Foundation Committee Chair, Peace Committee and Presidential Peace Conference Chair, and many more - thanks to all for your enthusiasm and support of Rotary! Wednesday, October 11 - The Rotary Club of Richmond is our club visit today, and we join President James Hsieh at their meeting place, the Hilton in Richmond, BC. This is a club that has re-invented itself and has had a significantgrowth over the past year, after suffering a decline that was concerning to the members. Now they are alive and well and have added five new members already this Rotary year and have more in the immediate pipeline - well done Rotary Club of Richmond! Tuesday, October 10 - The Rotary Club of Burnaby Metrotown is our first club visit in the Metro Vancouver area and we join the club at their meeting place, the Burnaby Neighbourhood House. The Club partners with the Neighbourhood House on many projects, including their well known Coats for Kids project - and a brand new truck identified for the project is parked out front. Tuesday, September 26 and we are back on the Sunshine Coast, this time in Sechelt. We meet up with Norm Blair, President of the Rotary Club of Sechelt, and tour around a bit. This club is focussed on local projects that are eco friendly and sustainable, and our first stop is at the Community School where they are in the process of building a greenhouse that will help students learn about local food production. Saturday, September 23 - the evening brings a special time as we join the Rotary Club of Ladner in their celebration of 60 years of Community Service. The club received its charter from Rotary International in December 1957 and it has been active in the Ladner community ever since. The evening was a grand event and I was pleased to bring greetings from Rotary International. It was great to join President Ulf Ottho, many of our Past District Governors from District 5040, and to see so many Rotary friends turn out to participate. Congratulations Rotary Club of Ladner! Sept 23, Rotary Leadership Institute is Back! Saturday, September 23 - Back home for a couple of days, I head out to Richmond in the morning to drop in on the first session of the new Rotary Leadership Institute (RLI) as this great leadership training program gets back up and running in District 5040. Delightfully, this first RLI 1 has sold out and has 22 participants, including eight from our newest club - the Rotary Club of Vancouver Mountainview - and our newest member Carolyn whom I inducted just yesterday in Pender Harbour! Coordinator Dave Hamilton gets the day underway, and it goes well with four facilitators steering the participants through a productive day. Thanks to all on the team who brought RLI back to District 5040. We will offer RLI 2 in October and RLI 3 in November. Tuesday, September 19 - This is the first of two weeks on the Sunshine Coast, and we are at the Powell River Sunrise Rotary club to start off our day at their breakfast meeting. Secretary Helen deBruyckere has us well organized, President Frank Clayton runs a great meeting and we have lots of dialogue with the members. We are also honoured to help install new member Vivica Watson. Saturday, September 16 - A quick flight to Quesnel yesterday to join up with the District 5040 Youth Exchange Inbound weekend. This weekend is held to orient the arriving exchange students to District 5040, and provide the program guidelines for their time with us here in Canada. The District Youth Exchange Comittee, led by Sue Godey, has everything organized, with Gina Rawson, Toni Stedeford, Liz Scott, Petrie and Liz Neave, and Bob Kilberry helping out, as are several of our Rotex (former exchange students). The nine incoming exchange students are all placed and settling into their year with us. Friday, September 15 is an exciting day as we participate in the opening of the new fitness circuit at the Burnaby Foreshore Park. The three Rotary Clubs of Burnaby (Burnaby, Burnaby Metrotown and Burnaby Deer Lake) have collaborated on this Canada 150 and Burnaby 125 project, and have raised $150,000 to partner with the City of Burnaby to create this new public fitness initiative. The four pods of the circuit look great and have been designated a National Demonstration Project. Tuesday, August 22 - We have made our way back to Central BC and arrived at Burns Lake. Last evening we had a dinner meeting with Burns Lake Rotary Club president Richard Vossen and his leadership team and learned about this active Rotary club and their many community projects. You cannot come to Burns lake without seeing evidence of Rotary in so many places - the Skateboard Park, the Spirit Square park area, the tennis courts, Civic Cemetery beautification - even the welcome signs to the community. Tuesday, August 8 - We are off to Quesnel from Whistler and the smoke from the BC Wildfires is relentless. As we make our way north detouring around the highway closures due active fires, the drive is sobering and we start see firsthand some of the devastation and horrific conditions the people of the Cariboo have been through - with several areas where fire has burned right to and across the highways and choking smoke still remains. Tuesday, August 1 - We have settled into Whistler for a week and plan to visit the Whistler, Pemberton and Whistler Millennium clubs during this time. Our energetic and hard working Assistant Governor Liz Scott meets us at each club. We are certainly well looked after - thanks Liz! Monday July 17 - We fly north for several days of club and project visits in the Prince George area and Mackenzie. Our great AG Bill Hellyer gets us around in his trusty pickup. Bill meets us at the airport on arrival and we set off to tour some Rotary projects in Prince George. They are not hard to find here as Rotary is well represented in this city - on the space of just three hours we have visited the Rotaract Splash Park and Rotary Playground in Lheidli T'enneh Memorial Park, and also drop in at the Rotary Hospice (an amazing facility), the Rotary Hair and Wig Salon in the Kordyban Lodge (Cancer centre), drive by the Rotary Soccer Fields, visit the Rotary Centennial Pavilion at UNBC and more! After this amazing afternoon, Bill and Kathy have time to host us at their beautiful place for dinner. Saturday, July 15 and Sunday, July 16 - Richmond is the site of a day of Assistant Governor Training and updating the District 5040 Strategic Plan. District Trainer Rebecca MacPherson has the AG training together and we have a productive day with our 2017 - 2018 team of Assistant Governors. We have a total of nine AG's in our District and they are key in working with our Rotary club Presidents and interfacing with the Governor. We welcome three new AG's this Rotary year - Wayne Connorton (Richmond - Delta), Carol Doyle (Sunshine Coast) and Bill Hellyer (North) who join the six who are continuing - Brian Downie (Northwest), Nancy Eidsvik (Burnaby - New Westminster), Anne Marie Ferguson (North Shore), Davinder Grewal (Vancouver), Lori Macala (Cariboo), and Liz Scott (Sea to Sky). On Sunday we are joined by most of the District Committee Chairs and, with the help of Marni Fraser from the District Strategic Planning team, we craft an update to the District 5040 Strategic Plan. It is a busy but very productive weekend setting our Rotary direction for the year. Monday, July 10 - A real change in plans as our intended trip to Williams Lake has been disrupted by the wildfires and evacuations. The week is filled with other activities, but the real focus is developing a response for Rotary 5040 to help with the Wildfires situation which is now a Provincial Emergency. The Rotary BC Wildfire Recovery Fund is the result, to put in place funds to allocate to our Rotary Clubs in the affected areas (currently 100 Mile House and Williams Lake). Our thoughts are with all affected. Sunday, July 9 - it was an early start to the day as we headed off at 5:00AM to Brentwood Mall in Burnaby to participate in the registration and send off for the Rotary Club of Vancouver's Bike Ride for Hearing. Thursday, July 6 turned out to be a very special day, as we joined RYLA Lakelese at the Hendry farm. We were there as all 25 participants arrived and were checked in for the weekend of leadership development and fun. District RYLA Chair Lynda Rocha was on hand along with AG Brian Downie, Laurel Williams from Smithers and many others. Tuesday, July 4 - We needed to get to the Terrace area and back quickly, so we flew to Terrace and headed off to drive to Smithers, BC for our first Official Rotary Club Visit. Friday, June 30 - We headed out and drove to the Cariboo to Williams Lake. We met Assistant Governor Lori Macala and Ed, enjoyed a show opening at the Station House Gallery and then went for dinner at the Rotary Steak Out which is put on by the Rotary Club of Williams Lake (great meal under tents near the Stampede Grounds - ribs, steak and all the trimmings!). This is open to the entire community and it was well patronized.